Anyway, given that I'm trying to get Game of Thrones out of head, I'm seeing it everywhere. LOL. Thankfully, what I spotted on ThinkGeek isn't nearly as traumatizing, in fact it's perfectly nerdy. 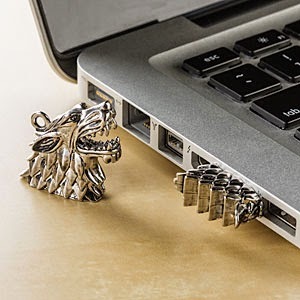 Yes, those are USB drives with your favourite GoT sigils. With their slick design and lack of blood, I think these are fantastic. But I'm going to need a bit of time to get over the grotesque happenings this week before I can get comfortable looking at one of these for too long. The horror is just too fresh, too raw right now. 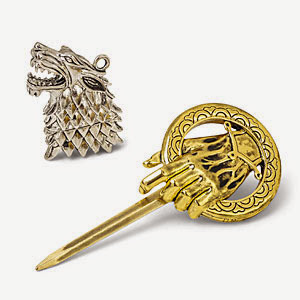 Whether you want to channel your inner Stark or Lannister (you monster!) you can pick up one of these fancy toys for about $30.